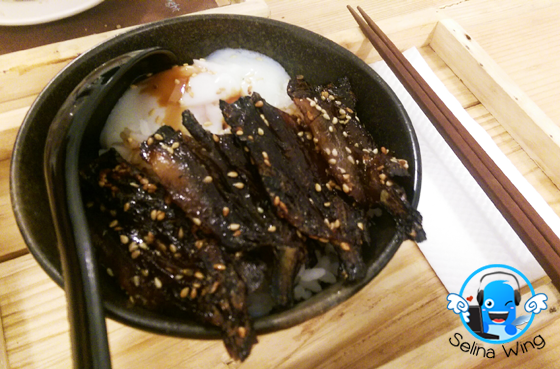 I like Shishamo Egg Rice (RM10) - it is great tasty! I love sweet BBQ with half-cooked egg! 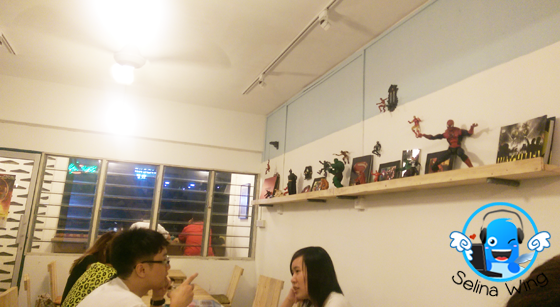 My sister told me and my mom about the Midsummer Night is very simple cafe with the DIY deco and the posters about the old movies; Hollywood and Hong Kong only. 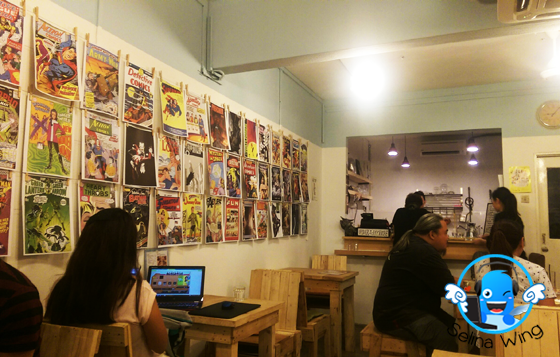 The Midsummer Night is a hidden cafe also located at 1st floor below an auto workshop, near the MyBurger Lab which I went before, along the Jalan Awan Hijau, OUG. First time, I went to the Midsummer Night cafe since my sister bring me and my mom try there! Before I took a stair up to 1st floor, I saw a cute logo on the signboard, make you felt comfortable to sleep in your dream if you want to relax so well! 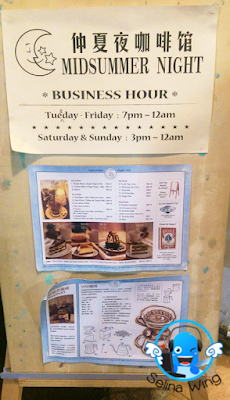 I can see many young students and professionals love to spend their relax time to drink coffee and dinner or snacks @ Midsummer Night Cafe around 8pm, after studying and working time. 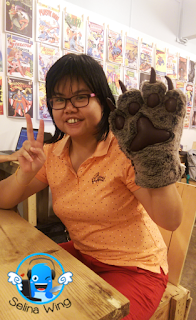 So, it is good for this cafe which can welcome them to enjoy to chat-chit about their hobbies, or can surf / work on the laptop since they want to use FREE WiFi on anytime. 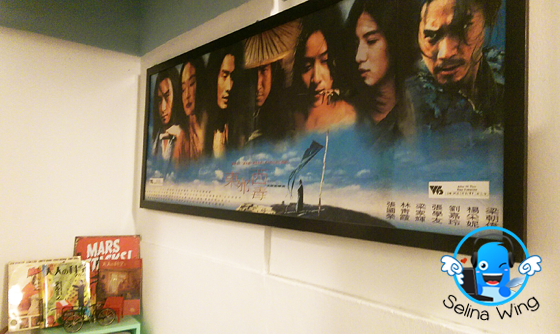 Maybe, the owner love the history of film and television's collection, and superhero toys too. He is friendly and really care to share the stories with the customers. 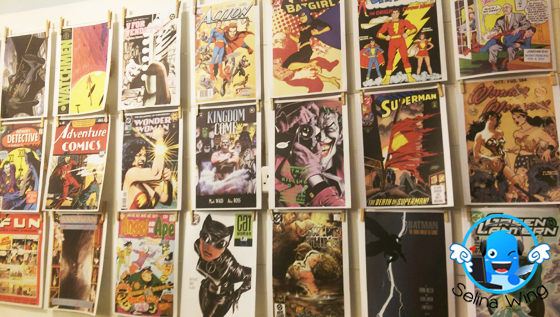 Many "Superhero" printed posters hang up at the wall, so cool. It make me recall my memories about watching the cartoon TV about Superman, and Batman, my favorite of superheros! Collection of superhero toys, so cute! All printed of papers about the famous superheros..
Wow, I really miss to read my old comics so much! Beautiful poster movie with the comic books! 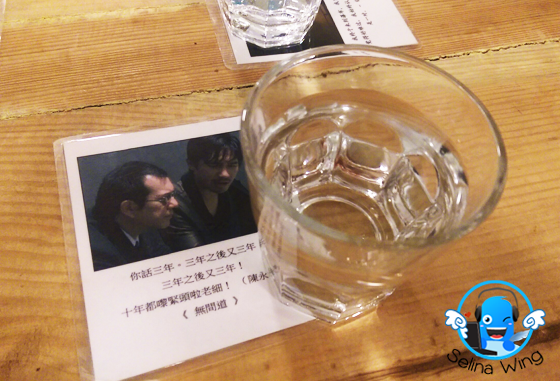 We given FREE water cups on the old movie's cards! The staff can refill water on many times! 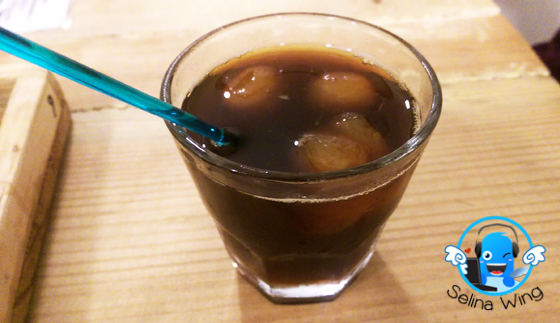 Sweet Dream (Choco Ice Cube + Milk Ice Coffee + Choco Drink) - RM 15. 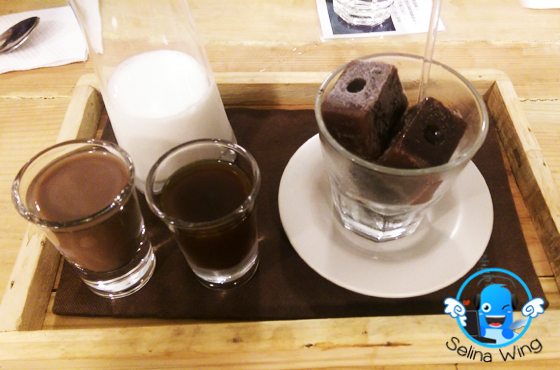 I like to be scientist to pour few drops of milk, coffee and choco on the Choco Ice Cube into my cup! So funny! Good taste to drink the Mixed chocolate with coffee, cool! 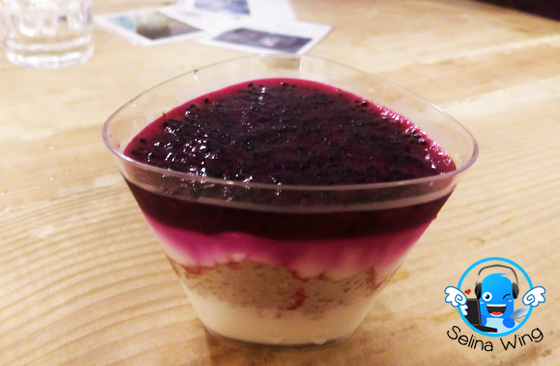 Dragonfruit Dessert. It is nice! Shishamo Egg Rice, Dragonfruit dessert and Pineapple coffee are not listed in the Midsummer Night's menu. That is why a staff lady suggest us to try their special weekdays, so we chose them. First time, I drink the Pineapple Coffee but, I am not "Coffee" fan, sorry! I think that it is good idea to put the mix fruit into the coffee. My youngest sis enjoyed her Pineapple Coffee so very much! My sister and I enjoyed the indoor games like playing the cards, and wear a wolf hand so cute! We enjoyed to chat-chit about the coffee, food review, and movies issues. Jon, Midsummer Night's owner also concerned about the safety of ladies, then he or the staff come to accompany the ladies come down to their car park at late night! My mom, sister and I really be thankful to Jon, Midsummer Night's owner who keep to accompany us then, he also watched us to reach our car at outside his cafe! The staff's service also are good too! Hello Isaac Tan! Nice to meet you too! :D I see your nice blog! Wow!